The journey to Pompeii is highly recommended as it features the remarkable ruins of the city buried under the ash of Mt. Vesuvius. This tour is designed for the person who wants to get to Pompeii and explore on their own. It does not include the admissions to the site which can be purchased on site for about . We will provide you with some background and a map to allow you to explore Pompeii on your own. 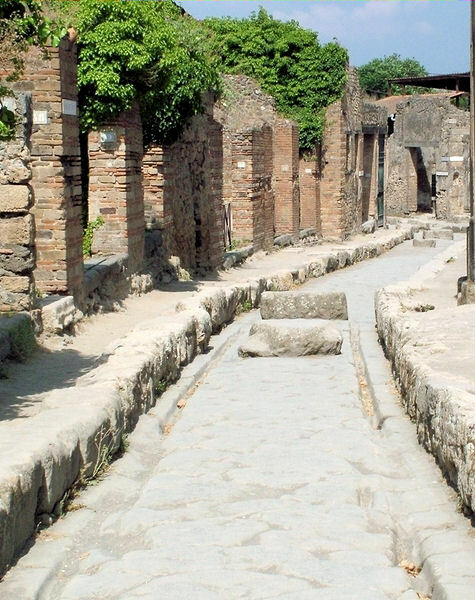 You will be able to spend time exploring the fabled city of Pompeii through the Sea Gate as you experience a walk down the cobbled street to the Agora, surrounded by temples, porticoes, and law courts. It was the religious, civic and business center of the city. As you wander through this ancient city, you can't help but notice the still-active Mount Vesuvius towering above. A visit to Pompeii is one of the musts of any visit to Naples. Don't forget your camera. This tour may be combined with a similar tour depending on the of number of passengers. On some departures we will be able to leave you longer at Pompeii to explore further on your own for an additional 3 to 4 hours. Excursions listed for a port may not be available for every cruise.